Want to knock your prom look out of the park? Take a gander at our carefully curated prom dress guide that'll help you find the best prom dress for your figure, skin tone and personal style. 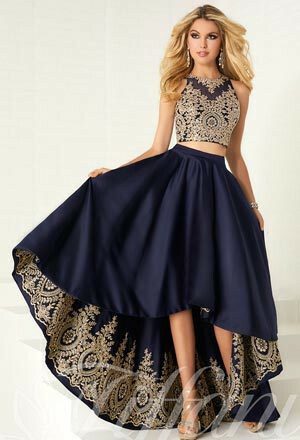 Categorized by today's hottest formal fashion trends, including one-shoulder prom dresses, short prom dresses, hi-low prom dresses and more as well as by top prom brands like Sherri Hill, Night Moves, Jovani and Tony Bowls, this prom dress style chart is designed to help guarantee that you hit the style jackpot on your big night out. We've also categorized our formal dresses to help you match the look to the occasion. So if you're looking specifically for homecoming dresses, we've curated a selection that's appropriate for fall and winter weather plus the occasion at hand. Meanwhile, a selection of prom dresses for your body shape as well as plus size prom dresses and eveningwear, will guide you towards the most flattering formal gown you can imagine. Take a peek at our variety of prom and formalwear accessories, including masks and headpieces to match your dresses, to help top off any special occasion look. The best part about our prom fashion guide is our focus on today's hottest trends. 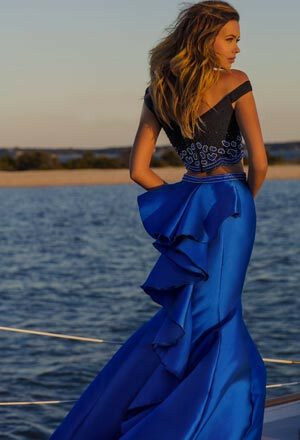 If you're shopping specifically for trendy formal looks - think hot-off-the-runway styles that are still appropriate for prom and other formal occasions - you'll love our hand-picked style categories. This year's most sought-after trends include sequin prom dresses, gold prom dresses, prom party dresses and ball gown dresses, so we've made sure to select an assortment of dreamy styles to help you choose. Whether you want to look like a movie star or a beauty queen, Promheadquarters.com is here to help you achieve your highest fashion vision. Finding Your Mori Lee Prom Dress! Short Prom Dresses for Keeps! Look So Cute In Sweet Sixteen Dresses! Short Graduation Dresses are in Style!